The moment I stepped off the plane onto the airport tarmac, I fell in love with Malta. With its large arches and slightly sandy colour, the airport terminal looked completely different from any airport I had ever seen. I enjoyed admiring the building as I basked in the balmy temperature and sunshine. I felt like I had just landed somewhere very exotic. On the drive to my hotel, the first thing I noticed was that most of the buildings were a tan, sandy colour. They were like sandcastles! I really enjoyed the time I spent in Malta, and it is still among my favourite countries. It is an island nation in the Mediterranean sea near Sicily and the North African coast. Here are 11 reasons why Malta should be your next destination! 1) Most people in Malta speak English- no language barriers! English is one of Malta’s two official languages. Since it used to be part of the British Empire, most residents can speak fluent English. No need to worry about deciphering street signs. Malta recently topped the list of the Best Airports for Landing Views. When my flight was descending, I saw breathtaking views of the sea and Malta’s rugged cliffs. I also saw great scenery when I took off! Malta has a sunny climate. During January, its coldest month, temperatures range between 12 and 20 °C during the day – very comfortable! It’s the perfect place to go to escape the chilly winter weather of mainland Europe. Malta boasts clean, sandy beaches and peaceful swimming spots. In warm weather, a gorgeous place to swim is the Blue Lagoon which has bright blue water. There is also a famous sea cave called the Blue Grotto which you can take a cruise inside. Malta has a rocky coastline that offers mesmerizing views. You can also find lovely green vineyards on the Maltese islands. Since Malta is a small country, traveling to different attractions doesn’t take a long time. The public bus system is affordable and reliable (except on public holidays like Easter when it is very crowded). Car rental services and taxis are readily available, and there is also a convenient Hop-on, Hop-off tourist bus. I took the Hop-on, Hop-off bus around Gozo. You can also ride in a horse carriage in Valletta. Malta has a fascinating and diverse history. As far back as 5200 BC, it has been occupied by distinct cultures, such as the Phoenicians, Byzantines, Muslims, Normans, and the French. It also used to be a British colony, so it still has many British shops and even some red telephone booths. The Ġgantija temples on Gozo are even older than the Egyptian pyramids! The Megalithic temples of Ggantija, Gozo. The popular TV series Game of Thrones used to be filled in Malta. There are even some tours that will take you to filming locations. As well, scenes from the movies Troy, The Count of Monte Cristo, The DaVinci Code and Gladiator were filmed here. Vittoriosa, where scenes for The Count of Monte Cristo and the Da Vinci Code were filmed. I loved the variety of architecture in Malta. Some buildings have a European style, while others have an Arabic or North African style. There is also a distinct Maltese style- sandcastle coloured buildings with colourful protruding balconies. I have never seen this type of balcony anywhere else! 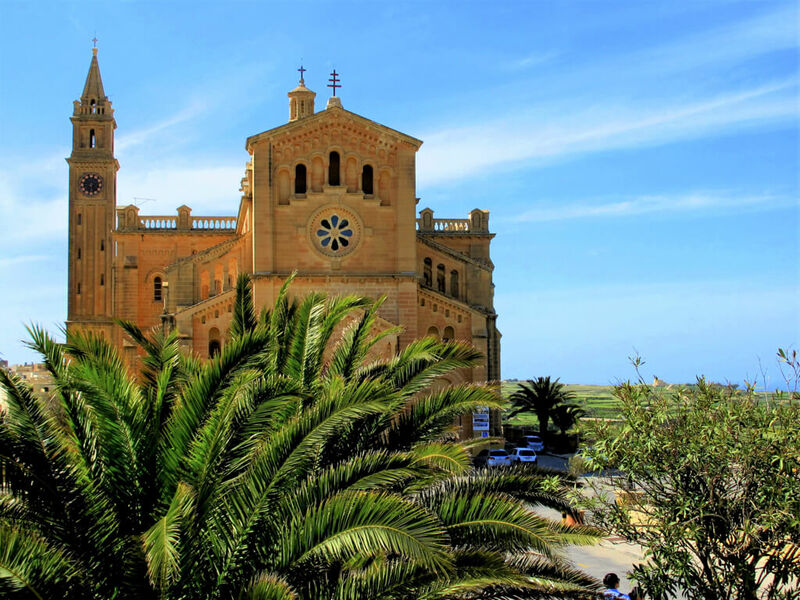 Malta has many interesting cultural events and religious festivities throughout the year. Some notable events include the Malta Fireworks Festival, Carnival, Freedom Day and Ceremony of Our Lady of Victories. There are also local village feasts (festas) during the summer. Holy Week, which occurs during Easter, is one of the most popular events. On Good Friday and Easter Sunday, statues of Christ are carried through the streets of towns and villages in Malta by locals dressed in Roman costumes. I was lucky enough to see the Good Friday and Easter Sunday processions in Valletta. If you are in Malta during Easter, I highly recommend that you attend a procession! It’s a very interesting cultural event to witness, even if you are not religious. An Easter procession in Valletta. Children toss confetti from their balcony during the Easter Sunday procession. 10) Malta has the most colourful boats! Colourful fishing boats called luzzus are a common sight in Maltese harbors. The best place to spot luzzus is in the village of Marsaxlokk. These boats are usually painted in bright colours such as red, yellow, blue and green. On many boats there are two small eyes painted on, a tradition that dates back to Phoenician times. They are believed to protect fishermen from danger while they are at sea. Because of its Mediterranean culture, Malta has a relaxed, leisurely vibe. It is a great place to escape the hustle and bustle of city life! Before reading your blog, I didn’t really know much about Malta at all – looks like a pretty awesome place! Especially in love with the colourful boats. These are stunning photos! I used to have family that lived in Malta and I’ve been obsessed with going ever since. I haven’t got there yet but I’m hoping for this summer! Thanks! Yes, Malta has such beautiful scenery. You have 11 strong arguments there! I especially like the laid back and colourful vibe that pops from your pictures! Well done. Hope you get to go soon! 🙂 You will have a wonderful time! Gorgeous photos, brought back memories 🙂 . I was in Malta few years ago and this was an awesome journey ! I have experience breath-taking views of majestic cliffs falling to the sea. History boughs like me go crazy for Malta. There’s just so much to see and learn about! 5000 year old temple ruins, holy memorials of the Biblical visitors on the island, Roman castles etc. Yes, Malta is a wonderful place for history buffs. 🙂 I would love to go back and visit more historical sites there. I’m so glad I’ve inspired you!! I have great memories of Malta from when I was a child. One of my first holidays with my parents that I actually remember. I remember getting a bus and being absolutely terrified at the fact that it had no door!! Malta looks so beautiful! A friend of mine lived there for a couple of months and if I wouldn’t have lived in Mexico, I would’ve payed her a visit for sure! Very beautiful pictures and you really managed to convice me (and many other I suppose) to visit this country. You’ve quite literally sold me on the destination. Malta really looks gorgeous. I love a place that is scenic. The streets look as if you are quite literally walking into the past. Your photographs are very beautiful. I’m glad I’ve convinced you! 😀 Yes, the streets are so charming. Thanks for complimenting my photos! I am completely convinced, Kat! Malta is a stunning and spectacular place! My boyfriend and I are planning a trip to Malta this Easter and I was wondering if you would recommend it during that time? The festivals and processions look amazing, but did you have trouble at all with things being closed down? Yes, I would recommend it. I’m so glad I went at Easter! Watching the Good Friday and Easter Sunday processions in Valletta was a wonderful experience. Lots of restaurants & souvenir shops were open and both the public buses and hop-on hop-off tourist buses were still running so I was able to see everything I wanted to see. On Easter Sunday the public buses from Sliema to Valletta were really crowded (several full ones passed me) so I took a taxi instead of waiting. In the smaller towns & villages (less touristy areas) things might be closed though. If you are worried about a particular attraction, I suggest emailing or calling them to check.